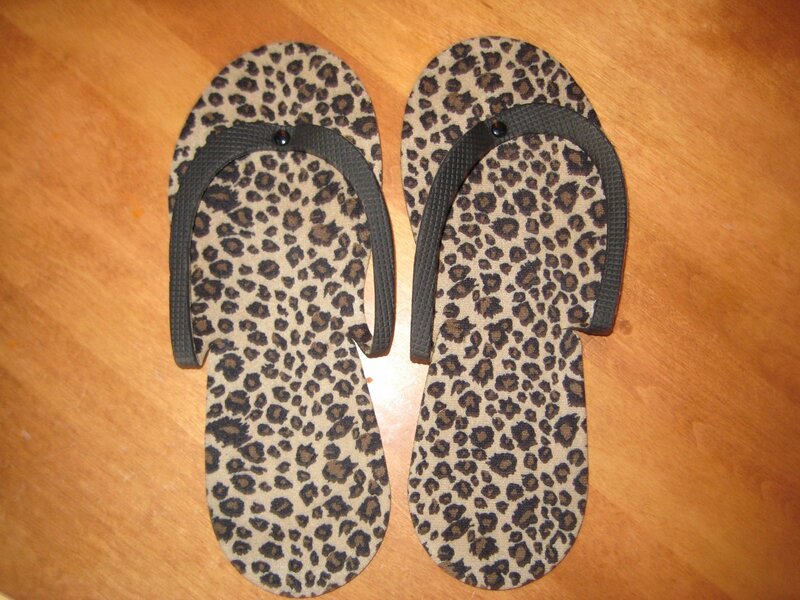 In today’s edition of Fashion Friday, I will be featuring these adorable animal print flip flops. And as an extra special bonus, I am writing The Sequel to the Perils of Paraffin Wax. This story actually began a few months ago when my friend, A Musing Mom, was celebrating her milestone-reaching, I-am-not-middle-age, and I-don’t need-bifocals birthday. Just to make the point, she took us to play laser tag. I gave A Musing a gift certificate to my favorite day spa, Simply Beautiful. I just casually mentioned that if she would rather not go by herself, I would be willing to make the sacrifice and tag along just to give her a little company. It’s not like going to Simply Beautiful is No. 1 on my list of life’s most relaxing moments or anything. Then she mentions, “Did you bring any sandals?” Sandals? Well, it is January and the thick socks and boots might just smudge our newly painted nails. So here’s what we learned last night about The Perils of a Pedicure. 1. If you plan to get a pedicure, you might have to sit for an hour or more in a massage chair with a hot wrap around your neck while soaking your feet in hot water. At times, someone will massage and scrub your feet leaving them feeling amazing. During this time, you will not be able to walk, so you will have to rely on the the Nail Specialist to bring you hot cups of tea to drink. You don’t want to get too dehydrated. 2. You will have to choose from what seems like a hundred slight variations of colors ranging from black to hot pink to put on your toes. I have decided to go with the suggestion of Carrie, the wonderful Nail Specialist. Last time, she chose for me “My Private Jet”, and you will just have to click here to find out where that got me. This time, the color she chose was called, “You Don’t Know Jacques”. I’m really not thinking that is sending quite the same motivational message for the year. 3. 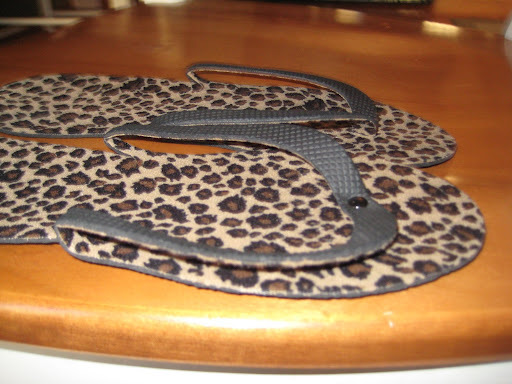 If you don’t bring along any sandals, you will have to scoot through the parking lot in these paper-thin free flip flops they give you at the spa. Your little toe-sies will be freezing, so just to warm up, you will need to go to a restaurant that serves hot food. 4. When you hobble into the restaurant on your paper flip flops, you will try to act casual, hoping no one will notice. But they will. The very first person you encounter as you walk in the door will glare at your shoes, or lack thereof. 5. But never fear. The wait just might be an hour and a half and since the toes only need an hour to dry, you can put on your boots before being seated. 6. Once your feet are safe inside their nice warm shoes, they will start feeling so pampered, oiled, buffed and happy, that they won’t want to walk. Your best bet is to put up your feet and order dessert. Be careful out there. These spa treatments can be rough and come with many unadvertised hazards. Take your sandals. Pick your color wisely. Go in peace. What brave women you are! Soldier on!!!! It is rough, but a girl’s gotta do what a girl’s gotta do. My lovely toes still surprise me – just this morning stepping into the shower I noticed them again. It’s worth it! I think I would be willing to go through that brutal torture again if I HAD to. We need to round up some more guinea pigs to endure that massage chair with us. Anyone? You just inspired me to use a gift card I have had for over a year to buy some new polish at my club’s spa! I got “St. Petersburgandy” and “Suzi says Da!” Who comes up with those names anyway?!? Here’s to good-looking toes in 2009, even if they are covered in heavy socks! Those colors at least make you sound smarter than “You Don’t Know Jacques”.